We offer annual music education and entertainment opportunities for the region, including NSU Instrument Day, South Dakota Jazz Festival and Summer Arts Education Institute. The annual Arts Education Institute (AEI) offers professional development in arts and learning for South Dakota teachers and pre-K-12 administrators. AEI is offered for up to two graduate, undergraduate or recertification credits (optional). Find details at Arts Education Institute or contact NSU art education instructor Nadya Preszler at nadya.preszler@northern.edu. The first Band Directors Institute (BDI) will be introduced at the Arts Education Institute. BDI is an intensive program designed to expose music teachers to the best in current and standard literature, teaching methods and materials. The institute will include large-ensemble reading sessions, master classes and clinic sessions that focus on a variety of teaching subjects for band directors. The headline clinician will be Michael Sweeney, composer and director of band publications for Hal Leonard. For more information, contact Shari Kosel at the Arts Institute. For specific music questions, contact Rolf Olson at NSU. At the NSU jazz camp, you'll have the opportunity to play in various jazz groups, take lessons, learn about improvisation, enjoy social and recreational activities and participate in nightly jam sessions. 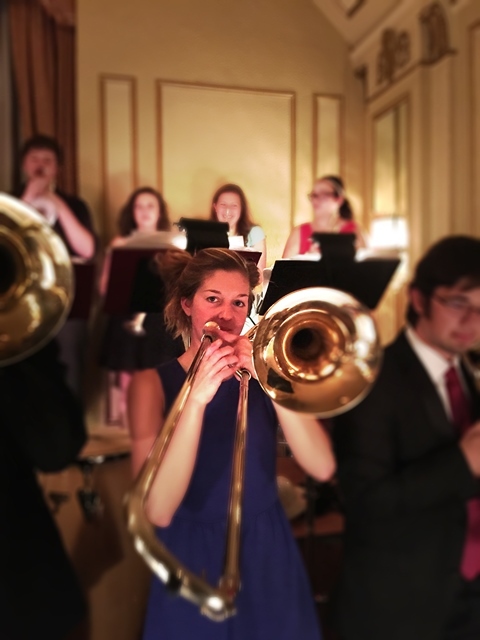 All students will have a chance to be part of a jazz big band. Rehearsals will be held each day, with a final concert Saturday. You'll learn to play a variety of jazz styles, including swing, Latin and funk/rock. Each student will have one lesson, with the option of taking more. Lessons will help you improve tone, technique, style and improvisation. Improvisation classes will be divided into beginning, intermediate and advanced groups. This is a great time to just get your feet wet or improve the improvisation skills you already have. The NSU Voice Camp is ideal for young singers in grades 7-12 who love to sing and want to learn more about their voice and the world of the singer-actor in a supportive atmosphere. All students will participate in choral ensembles. Enjoy recreational and social activities while learning about music and vocal technique. Students are asked to bring one prepared song to work on in lessons and classes. Acceptable categories include classical art song, age-appropriate aria, folk song, or musical theater selection. It's helpful if the song is memorized or close to it. If you don't have a song to bring to camp, one will be assigned to you. Each student will have one lesson, with the option of taking one additional voice lesson. Lessons will focus on posture, breathing, breath support, healthy production and projection. NSU Campus Band students entering grades 6-9 are welcome to attend the Rushmore National Junior High Music Camp on Northern's campus in Aberdeen. Guided by camp counselors, students stay in Northern dorms and enjoy meals in NSU's dining hall, the Wolves' Den. The camp offers many performance opportunities and individual lessons from music educators and professionals, as well as daily recreational activities. For details, visit Rushmore Music Camp. Talented area high school art students visit campus and take part in workshops presented by NSU art faculty. Workshops will be presented in a variety of media, including drawing, printmaking, ceramics, watercolor painting, and sculpture. All materials will be provided and attendance is free. Educators can RSVP to nsuartdept@northern.edu. The Northern State University Music Department's Instrument Day takes place at the beautiful Johnson Fine Arts Center on the NSU campus. The day begins with registration at 8:30 a.m., after which students will work side by side with experienced, expert clinicians and instrument groups will rehearse. Large and small ensembles will perform at a 3 p.m. final concert. Registration is open to high school and advanced middle school students who play flute, piccolo, clarinet, bass clarinet, oboe, bassoon, saxophone (alto, tenor, or bari), horn, trumpet, trombone, euphonium, tuba or percussion. The fee is $20 per person and includes lunch and a T-shirt. For more information, contact Dr. Audrey Miller. Start your jazz festival season off at NSU! The South Dakota Jazz Festival will be held in Johnson Fine Arts Center at Northern State University. 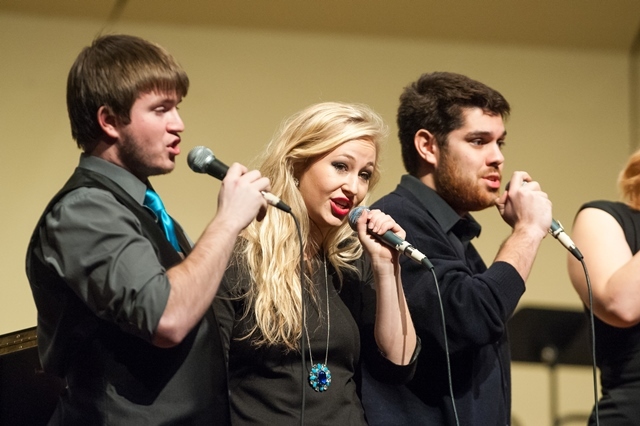 Vocal jazz, combos, and big bands are welcome to participate in competitive and non-competitive categories to best serve musicians and music educators. Jazz Combo: A maximum of eight musicians - usually with at least a bass, drums, and piano or guitar. Including instrumentalists or solo singers is very common.